If you live in Hartford and want to take an airplane flight, chances are pretty good you will find yourself departing from Bradley International Airport in Windsor Locks. However, long before Bradley, Hartford’s Brainard Field was the only municipal airport between New York and Boston. 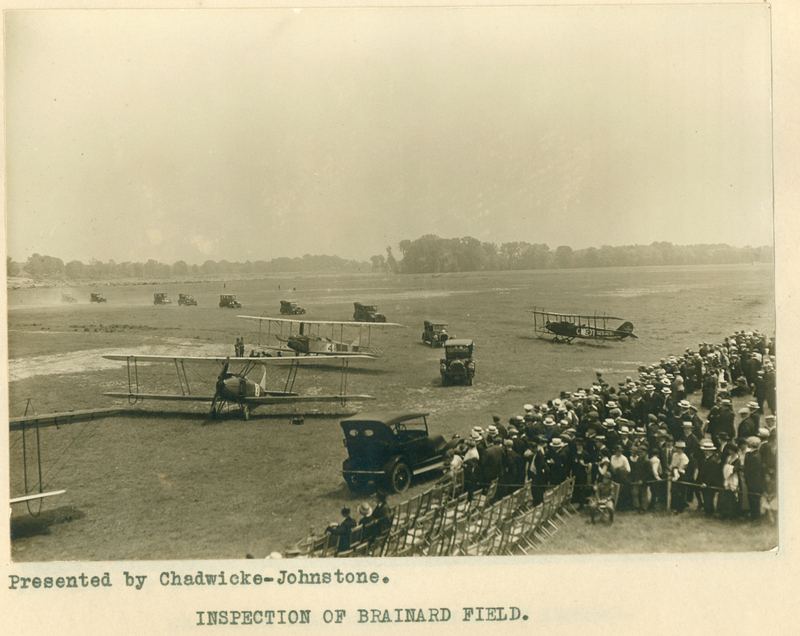 The dedication of Brainard Field was held on June 11, 1921. It was an event that lasted the entire afternoon, beginning with a speech given by Hiram Percy Maxim, President of the Hartford Aviation Commission. Maxim stated that with the field in Hartford, “we have established an Air Port of the first class which opens the way into New England. 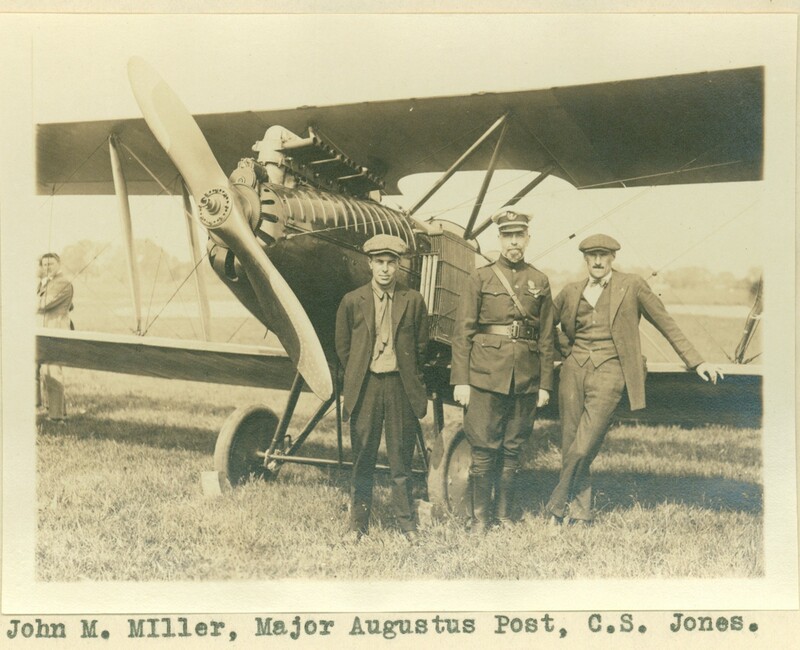 Before this field was established, it was an adventurous air navigator who would attempt to enter New England. After leaving New York, the traveler by air was compelled to take his chances.” Brainard changed all that. Hartford would now be on the aviation map. According to Maxim, visiting U.S. Government authorities stated that Brainard was “one of the best in the country and only inferior to the military airdromes of the United States Army and Navy.” Maxim concluded by noting that the field was named for former Hartford Mayor Newton C. Brainard. The next event was bomb dropping. As explained in the report, “Each entrant shall be supplied with five dummy bombs which shall be dropped at target destinations from an altitude of not less than 500 feet. The line of flight shall be in a north to south direction. 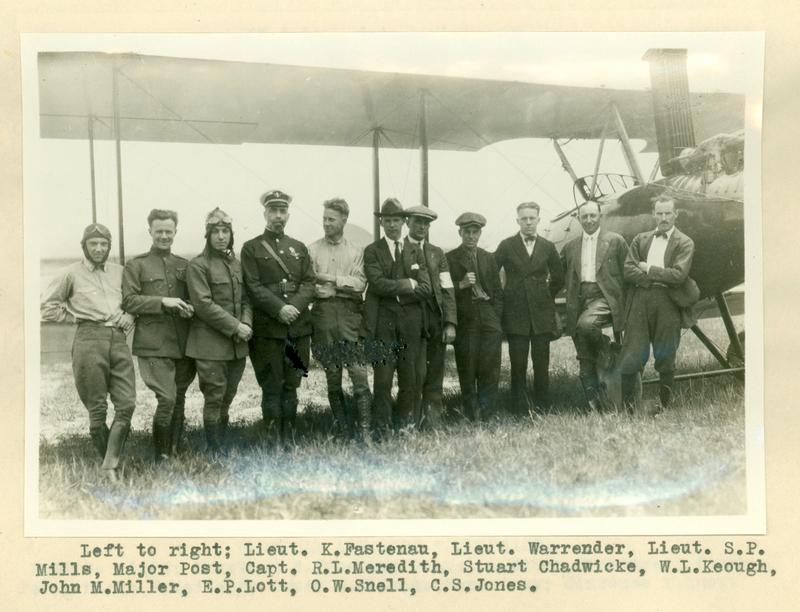 Each contestant is limited to 5 circuits.” It was won by E. P. Lott, flying a Curtiss J.N. 4C. E. P. Lott had another victory in the landing contest. The report does not mention whether he chose option a) Straight glide from 3000 ft. over Travelers Tower to landing circle or b) Spiral from 2000 ft. directly over landing circle. They also had a seaplane landing contest, won by Lieutenant G. L. Richard in a Curtiss M.F., with a time of 19 minutes and 50 seconds. The seaplane contest had the pilots flying south toward the bridge in Middletown. The next event of the day was aerial acrobatics. “Each entrant will be assigned a definite sector for stunting to which he will confine himself after reaching 2500 ft. Requirements: 1 loop; 1 Immelmann to right, 1 to left; 1 tail spin. Contestants can perform any other acrobatic feat. Minimum altitude 1500 ft. Do not re-climb.” Once again, E. P. Lott took first place. The day ended with Passenger Carrying. Times have changed, but private planes still fly in and out of Brainard. After World War II commercial flights moved to Bradley Airport. Brainard is currently owned by the Connecticut Department of Transportation. Two flight schools are located there, as is a restaurant. This document is open for research. Come visit!